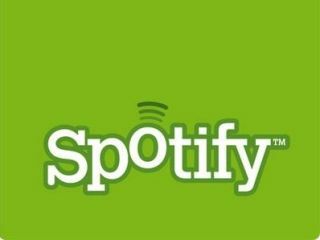 Spotify has announced that it has hit the one million mark in paying subscribers across Europe – a key landmark for the streaming music service. Spotify has been a key figure in the streaming music business, with a novel advertising model creating a real stir. And now the service has hit a key figure in terms of paying users, with co-founder Daniel Ek expressing his 'pride and excitement' at the milestone. "So it's with a sense of real pride and excitement that we can announce a new milestone today, having welcomed our millionth paying subscriber to the service. "It's a testament to our fantastic users who continue to support us and spread the Spotify word, either by telling friends or sharing some of the 200 million playlists that you've put together so far. "From everyone at Spotify, we'd like to give you all massive thanks. We'll continue to focus on providing you with the best music service possible, and look forward to adding even more cool new features over the coming months. What's really exciting is that this is only the beginning." The service hit the headlines last month not only for bagging an REM album exclusive for a week ahead of a wider launch, but also for being valued by some sources at $1 billion.